A multimedia experience relating the history of Jerusalem which is projected onto the walls of the ancient citadel of King David, surrounded by the associated archaeological site and steeped in history dating back over 3,000 years. 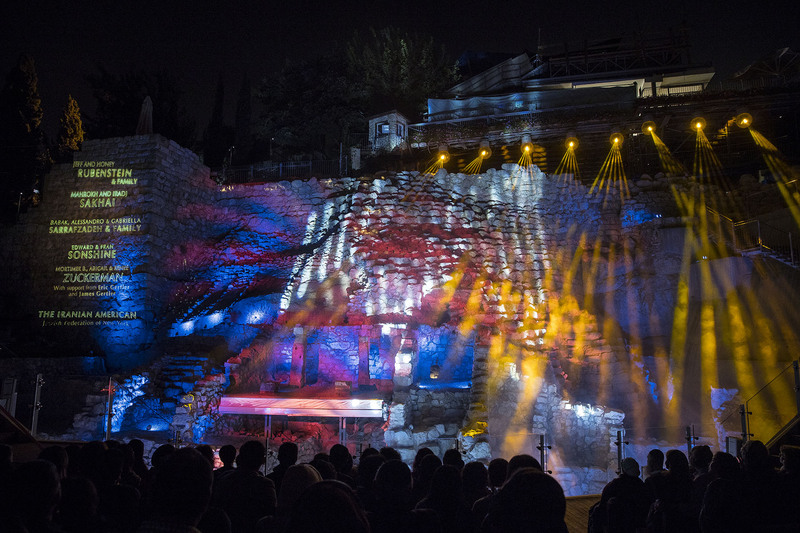 Robe Pointes and DL4S Profiles were selected – for two sites – see next section for details – to assist with the theatrical elements of the lightshow – chosen for their features, specifically the shuttering on the DL4Ss, and robust build quality which was needed for the harsh working / operational environment. 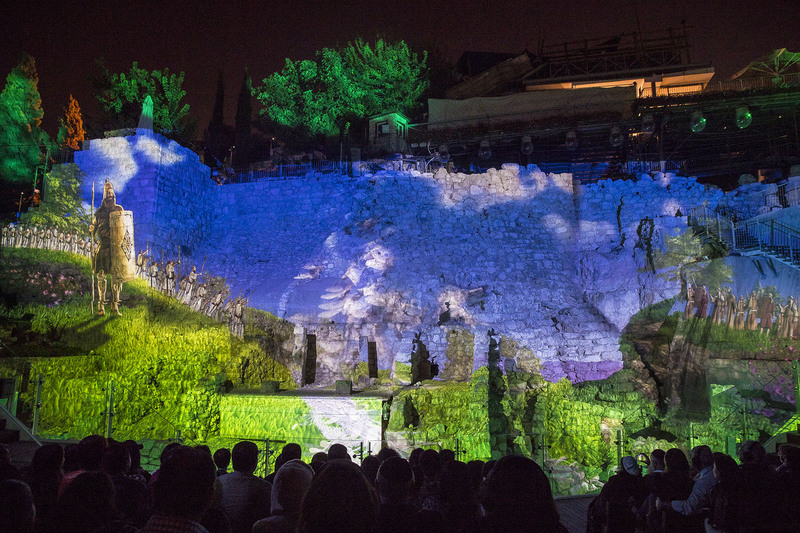 The multimedia show is divided into two sections and takes place across two sites; the Givati Parking Lot and Area G – overlooked by the charismatic predominantly Palestinian hillside neighbourhood of Silwan – which are a short walk apart. 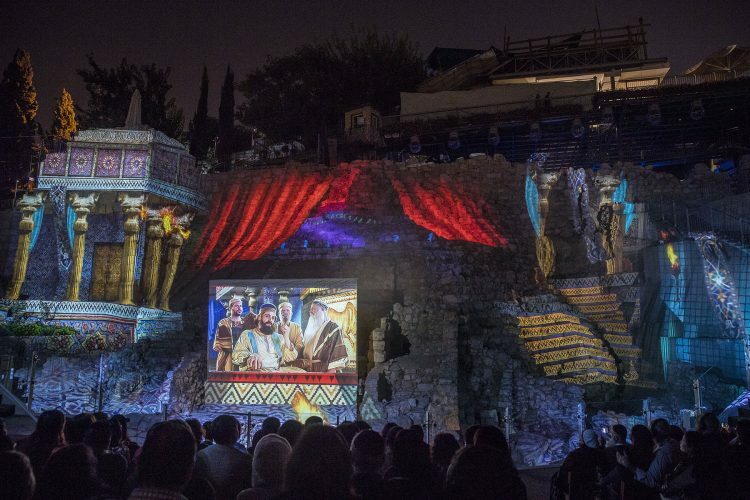 It unravels some of the myths and mysteries of Jerusalem’s compelling and colourful history. 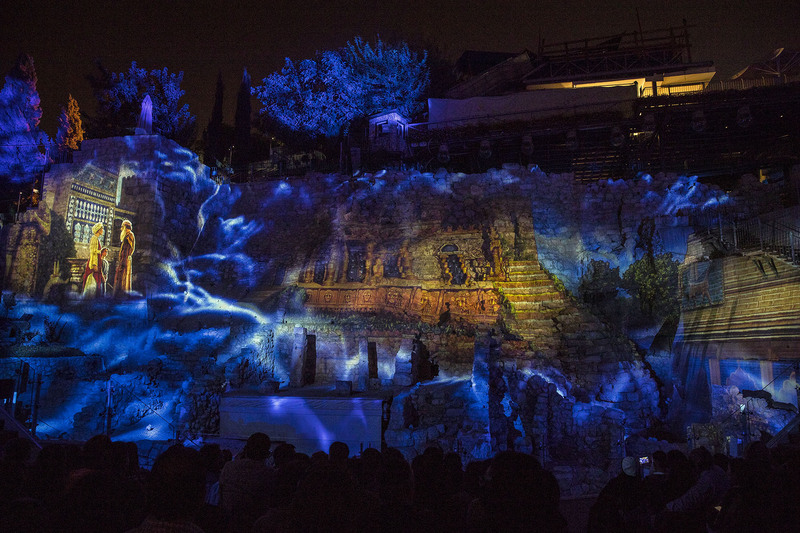 Strategically positioned theatrical lighting is used to support the large scale projections and runs throughout the two shows in this context. Convincing the Israel Government Tourist Corporation (IGTC) and others involved from the City of David site to use moving lights in these two shows was exacting, and especially sensitive due to the site’s proximity to Silwan village, so it was important that the houses there were not affected by any light pollution or spillage from the show (again this is why products with framing shutters were important). 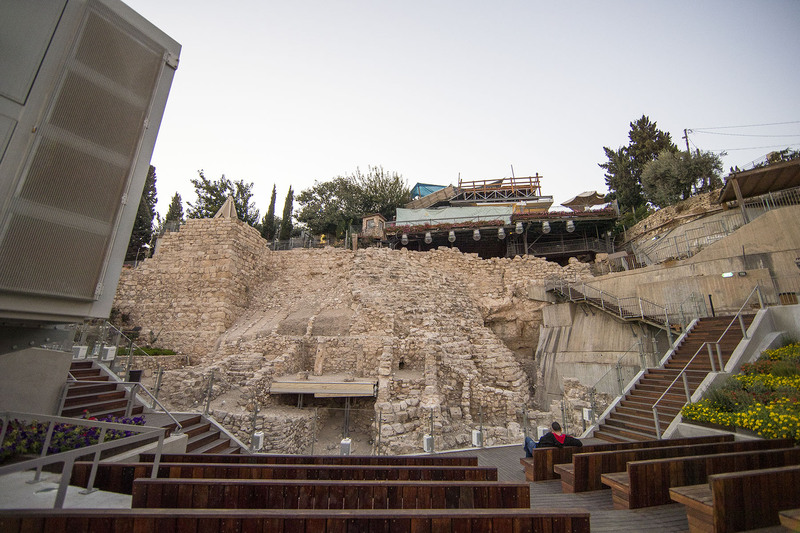 Challenges included dealing with the difficult topography and the specific positions where lights needed to be rigged, managing the cable runs with diligence and care and negotiating the environment which is both an active archaeological excavation and a popular heritage site and tourist destination. The 16 Robe Pointes and 6 DL4S Profiles in Area G were chosen as the most flexible and reliable options for show lighting, and are installed in weather domes, all in extremely inaccessible positions. 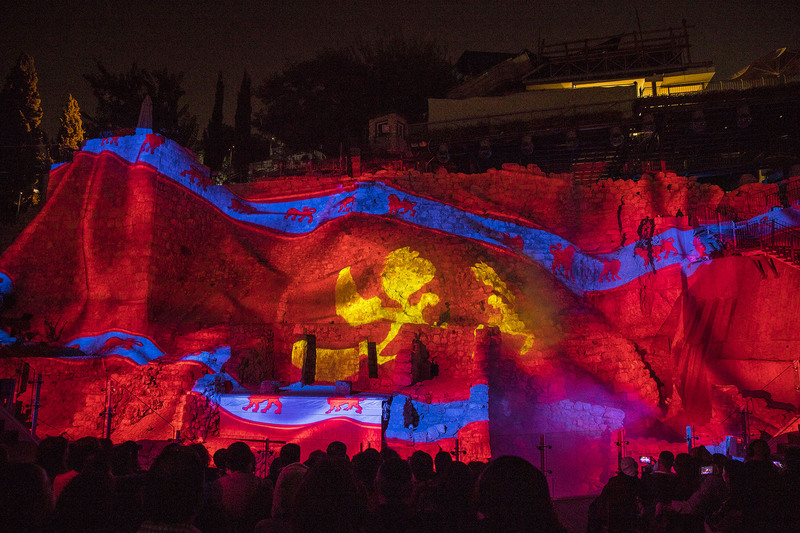 The projections in this area are beamed onto a large uneven sloping surface, which adds to the detail of the content and its mapping, bringing a highly authentic 3D appearance to the show images which are reinforced with lighting. 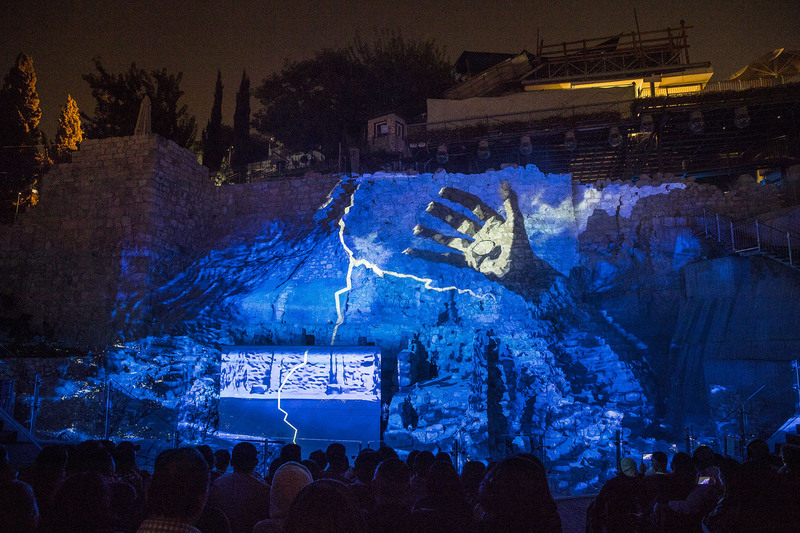 One row of eight Pointes overlooks the top of the bumpy and angled projection ‘wall’, and they are used primarily for aerial and mid-air effects and for highlighting the crowd seated below, immersing them further in the action. The second row of eight Pointes is right at the bottom of the steep hill which is 25 metres high and expands horizontally around 55 metres. They are concealed from immediate view as the audience seating is slightly higher up. The six DL4S Profiles are ensconced in two purpose-built steel ‘technology towers’ located behind and to the sides of the audience, which also house the four 11K projectors feeding this section of the show. The show is running five days a week with up to three shows an evening. 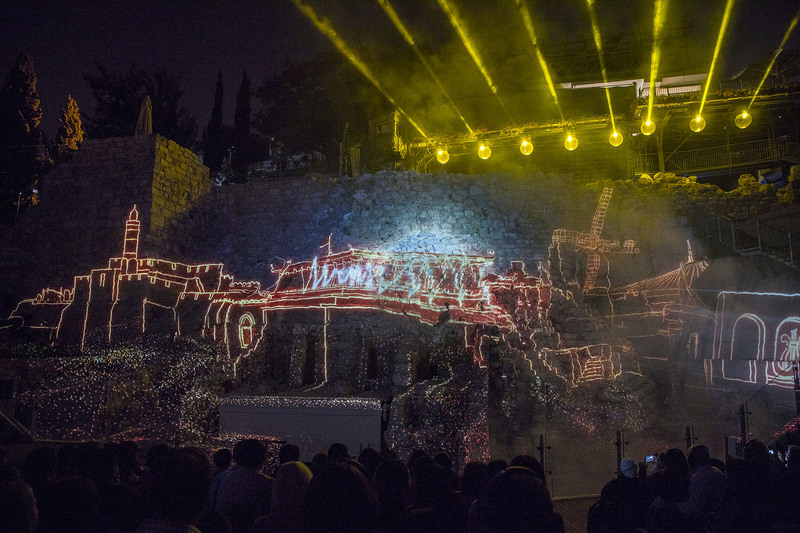 AVS Creative – is not the architect as such, although I have filled in this section of the entry form – but they co-ordinated all the project’s multimedia aspects and the integration between light, sound and projection – to work on the actual physical lighting installation.